The Navy SEAL Weight Training Workout is an exciting new exercise program from former Navy SEAL and bestselling author Stewart “Stew” Smith. Stew Smith, author of The Complete Guide to Navy SEAL Fitness, now presents a new workout plan designed to get followers strong and fit following the challenging regimen of Navy SEAL training. 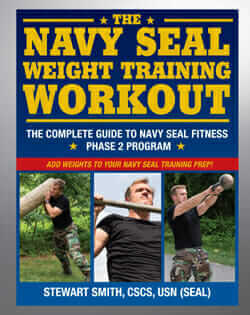 The Navy SEAL Weight Training Workout represents the Navy SEAL commitment to being at one’s physical peak year-round. During the fall and winter months, when high-output calisthenics are no longer practical, a carefully planned and executed weight-lifting regimen helps to maintain gains made in the summer and increases stamina and endurance. Understanding your body’s limits and needs and working alongside them for maximum results is the key to achieving the level of physical fitness synonymous with the elite Navy SEALs. The Navy SEAL Weight Training Workout presents an accurate and comprehensive overview of the demanding expectations that students will encounter when taking the Navy SEAL Physical Screening Test. Combined with the grueling physical training that students will encounter at BUD/S, these workouts will help readers prepare not only for spring and summer workout plans, but the challenges that await anyone wanting to call themselves a Navy SEAL. If you know Stew Smith, you know his workouts are the best anywhere. There is no match for his methods and results. – Over four months of detailed daily workouts carefully designed to help readers reach their physical peak. – Complete exercise illustrations and descriptions include stretching and warm-ups, lower and upper body workouts, and abdominal workouts. 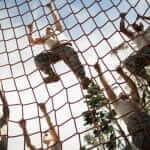 – Secrets and strategies of the Navy SEAL Physical Screening Test revealed and explained. – Tips on building mental resolve and working out within the Navy SEAL mindset. 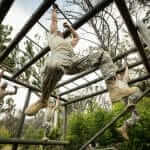 – Information on log PT, rucking, kettlebells and other challenging physical training activities. The Navy SEAL Weight Training Workout has been specially formulated by Stew Smith, former Navy SEAL and Special Ops Team Coach, to maintain muscle mass and boost results after a challenging regimen of Navy SEAL training. 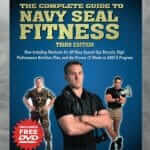 It is the best companion yet to his best-selling Complete Guide to Navy SEAL Fitness. It is your best hope for total fitness — Navy SEAL style! Order your copies today! Stewart “Stew” Smith is a graduate of the U.S. Naval Academy, a former Navy SEAL, and has trained thousands of students for Navy SEAL, Special Forces, SWAT, FBI, ERT, and many other military, law enforcement, and fire fighter professions. He is currently a Special Ops Team Coach at the U.S. Naval Academy that assists in the preparation of future candidates for SEAL, EOD, and MARSOC training. Stew also runs a non-profit called Heroes of Tomorrow where he provides free training for people seeking tactical professions. His other published books includes The Complete Guide to Navy SEAL Fitness, The Special Ops Workout, Maximum Fitness, and S.W.A.T. Fitness. Military Fitness, Navy SEAL Fitness, Tactical Fitness, Workouts permalink.